The Budgetary proposals are soon to have their impact on car prices in India. Though the real impact will be visible later but some of the car makers will raise the price of their SUVs and luxury cars from April 1. 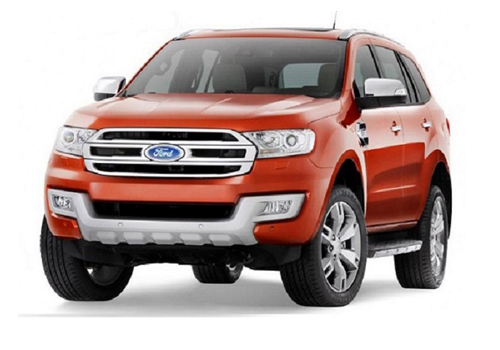 Ford Endeavour is one such SUV that will also receive a price hike. The hike in excise duty on SUVs has forced car makers to revise the price of their cars and after having contemplated not to make the customer bear the burden of the price hike, Ford India is forced to raise price of Endeavour. However, Ford Ecosport price will not be impacted due to the budgetary provisions and Ford India has earlier clarified this. Presently the Endeavour price in India starts at Rs 19.38 lakh and it is believed get a price hike between Rs 40,000 to Rs 60,000. The hike in price will still leave this SUV much less priced than Toyota Fortuner, Chevrolet Captiva and Nissan XTrail which are its big rivals. But due to the price rise, it will further become costlier than the recent entrant Mahindra Rexton that is fast giving it a tough fight in the segment. Amidst this price rise scenario, the SUV is undergoing a special campaign that promotes the Ford Endeavour All Terrain edition. The episodes of the adventure journey of this car will be telecasted on the National Geographic Channel starting May first week. In the meantime, the Ford Ecosport launch seems to have been pushed to June- July as Ford India has reportedly confirmed that it will be launching the new SUV after the Ford Ecosport Urban Discoveries Campaign commences in May. Thus, it is a little more wait for the new SUV. The good thing about the Ecosport launch is that the Ecosport price will be the same and it will not be impacted by the hike in excise duty on SUVs. If this happens, then it is expected that the new Ford SUV will amass heavy bookings as India is desperately seeking a new SUV in the compact segment.